The Greek Key Tencel Rug collection by Classic Carpets shows off just how versatile and beautiful Tencel can be. Soft and luxurious, this stylish rug range brings pure class to any interior. 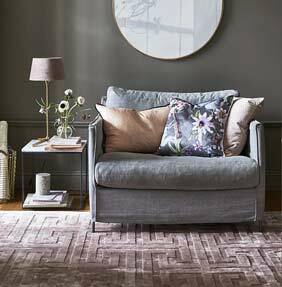 They are a range of simple yet enduring colourways to choose from and the softness of the rug makes it particularly popular. Each Greek Key Tencel rug has an embossed / raised Greek Key design. The design is subtle but bold enough to show its flair and qualities. Each rug is made from 100% Tencel and has a 14.5mm pile height. There is a choice of elegant colours to choose from as well as a range of different rectangular sizes, making it easy to find the perfect Tencel rug for your home.